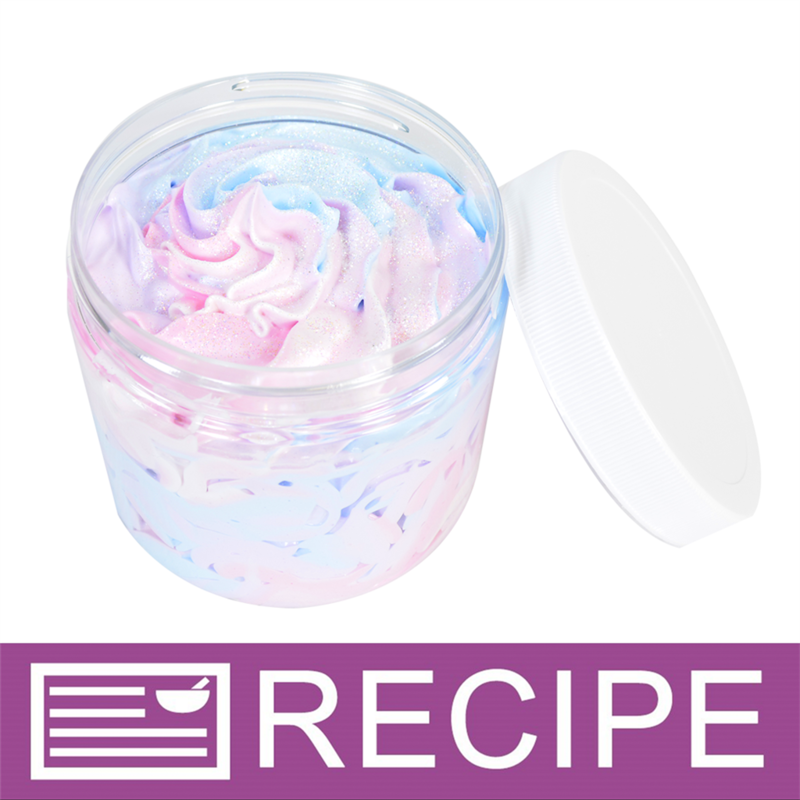 We followed the unicorn craze and created this super sparkly whipped soap to add some mystical magic to your bath or shower. Use on a loofa or nylon puff for an extra luxurious experience. You Save $22.55 by purchasing this kit rather than buying the items separately. COMMENTS: I purchased this kit mainly to use the products for gifts for my daughter's friends for Christmas. We whipped up this soap and we loved it so much, it was hard to give it away! It was simple to make and follow the recipe. I highly recommend making sure the soap is wrapped up one extra time once you've got all the soap laid out in the plastic wrap. Mine decided to pop out the top in me. Made a little mess but it was funny and easily cleaned up. Anyway,the scent is lovely. It's a huge hit and now everyone wants more! • Make sure to double wrap before piping! COMMENTS: This was my first time trying this type of item. It was easy , although it took four colors. My final product came out nice and smells delicious. Also had left over to use and it's soft to the skin. Would buy again. "What ingredients are in this product? I want to sell this but I need to list the specific ingredients." "What is a good amount of time to whip the soap with the mixer?" Staff Answer About 5 minutes would be sufficient to whip.